A few notes and quotes leading up to Saturday’s home-opener for the Wyoming football team against Washington State. Kick off is at 1:30 p.m. MT. — “I’ve always believed a football team improves most between its first and second game.” — Fifth-year UW coach Craig Bohl. — If that’s the case for the Cowboys, things could be fun to watch for the home fans. UW opened the season with a 29-7 win at New Mexico State last Saturday. The offense ran for 312 yards, had more than 400 yards of total offense and the defense held the Aggies to 135 yards of total offense. What could be better for UW? Sustaining drives. The Cowboys failed to convert a good number of third-and-short situations. More balance on offense. The run game was great, but not sure if it will be as effective against Washington State. More plays in the pass game should open up things in the run game. Create turnovers. UW didn’t force a turnover against New Mexico State. Winning the turnover battle — as it is in every game — will be key. Happy post-Thanksgiving everyone. Hope you got your fill of food and family. Wyoming wraps up its regular season Saturday at San Jose State at 3 p.m. MT. The game will be carried online on ESPN3. Nameless opponent: Wyoming will play another game — a bowl game — no matter the outcome of today’s contest. San Jose State has struggled mightily all season. This has all the makings of a letdown for the Cowboys, unless they come out and play well from the start. Nothing takes the air out of the sails of a struggling team than building an early lead and not letting up. The longer UW lets San Jose State think it can win this game, the more dangerous things get. The Cowboys need to ignore the record and numbers of their opponent and come out like this was a nameless opponent and execute well in all three phases. It wasn’t always pretty, in fact, it was ugly more often than not, but Wyoming’s 28-21 overtime win over Hawaii Saturday night was big because I got the sense if UW had lost that game it would have been very tough to recover from, despite eight more regular-season games to play. It doesn’t mean that UW will go on a long winning streak now, although anything is possible. But to me, the way the Cowboys persevered though the game to get a win showed a lot of grit and toughness. For the second consecutive day, the Cowboys practiced in War Memorial Stadium Thursday with cool temperatures and light rain, although the sun came out as practiced progressed. The last few days in Laramie felt more like being in Seattle than at 7,220 feet with all the rain and cool weather. UW worked out in full pads. One of the early periods of practice was a pass-under-pressure session. Junior quarterback Josh Allen and the No. 1 offense performed well. Allen threw some nice passes to sophomore wide receivers Austin Conway and C.J. Johnson. 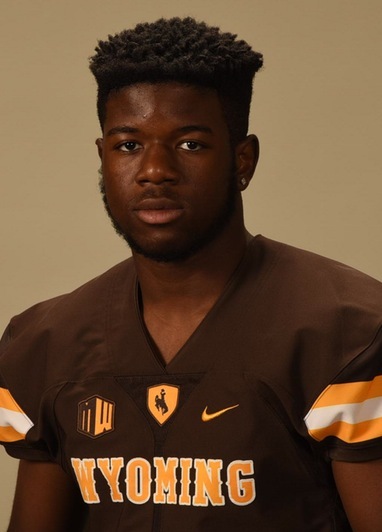 As I wrote in my column for Sunday’s Wyoming Tribune Eagle, Laramie Boomerang and online at wyosports.net, Wyoming didn’t make the plays it did two weeks ago in its 34-33 win over San Diego State. The result was a 27-24 loss in the Mountain West Championship Game to the Aztecs Saturday night at Jonah Field at War Memorial Stadium. The Cowboys were not able to run the ball, aside from a 66-yard run by junior running back Brian Hill. UW had just 95 rushing yards in the game. Take Hill’s big run away and it did little to nothing in the run game. UW’s offensive line struggled from start to finish in both the run and pass game. Credit should be given to San Diego State’s defense, which had been gashed the previous two games. Redshirt sophomore quarterback Josh Allen was knocked around pretty good throughout the game, and took a pretty obvious cheap shot by a San Diego State defender in front of an official, but no call was made. The offensive line struggled throughout the game, but again, I think San Diego State played much better defensively than it did in Laramie two weeks ago. Fall camp begins Monday for Wyoming football, which consists of 24 practices. There are lots of questions and storylines going into camp, but one that always intrigues me is who among the newcomers will play. Last season, 26 true freshmen or redshirt freshmen played for the Cowboys, which was the seventh-most in the country. Third-year coach Craig Bohl said during Mountain West Football Media Days in late July that he doesn’t expect as many this season, nor does he expect 16 true freshman to see playing time like in 2015. But there will be some true freshmen who play, and Bohl said that three things play factors in that: physical ability, emotional maturity and need at certain positions. — WR John Okwoli: The 6-2, 205-pounder from Phoenix was a three-star recruit by ESPN and 247sports.com. He was one of the more highly-touted recruits in UW’s 2016 class. UW looks to be set among its top two receivers in seniors Tanner Gentry and Jake Maulhardt. Redshirt freshman C.J. Johnson had a good spring. UW needs more wide receivers other than Gentry and Maulhardt to step up, and Okwoli could get a chance.